You have to wonder if someone is playing a a joke on the Verge. Someone sent in a box cover that purports to hide a 6-inch Android 2.3 tablet that does double time as a remote control for your cable box. If this isn’t a Punk’d-ing, the device is with cable company testers right now and will be used to control the cable box, GoogleTV be damned. 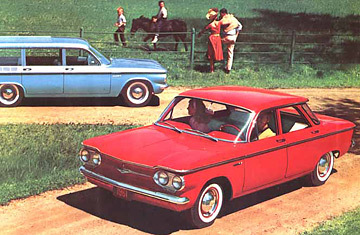 Of course “Corvair” is also a car that Chevy built in the early 60s that makes every “worst car ever” list and was the subject of the Ralph Nadar book, Unsafe at Any Speed. We’re hoping that Motorola’s naming/branding department is playing a joke on us in this case. Also, as Motorola gets folded into Google, this will likely get folded into GoogleTV, which is to say, cancelled…just like its namesake.